Oh my! It is raining in London again! Yeap! Again! I think the sunny days are going to be a thing from the past very soon. Anyway, on days like this I fancy to stay at home and wrap myself in a blanket and eat yummy things, I know! It is not very good for the diet, but what can we do on a rainy day?! 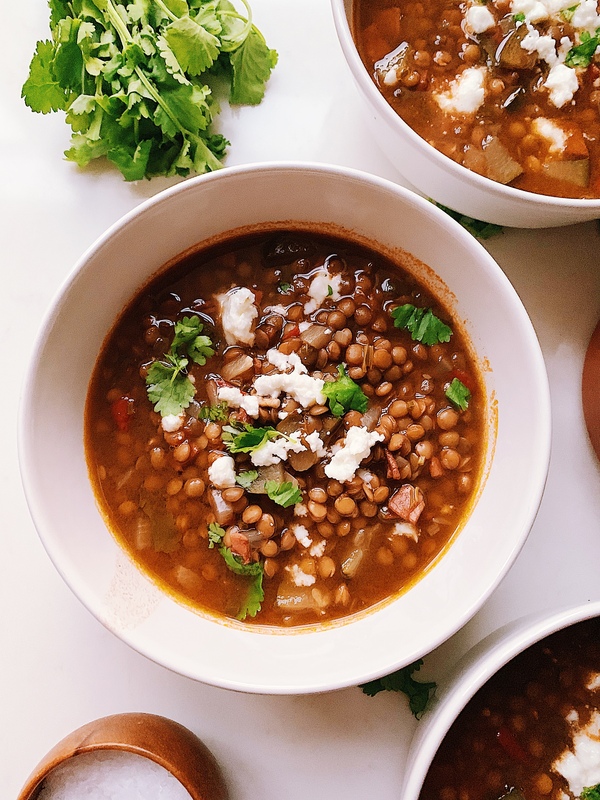 So today I decided to cook something very cosy and I remember my mum’s lentil soup, well, it is not really mum’s recipe, but she does make a delicious version of the lentil soup that it is well known in Mexico. Probably everybody has a version, some people add chorizo, other add ham or bacon. My mum always cook this soup with ham, but today mine is completely vegetarian and still taste wonderful. 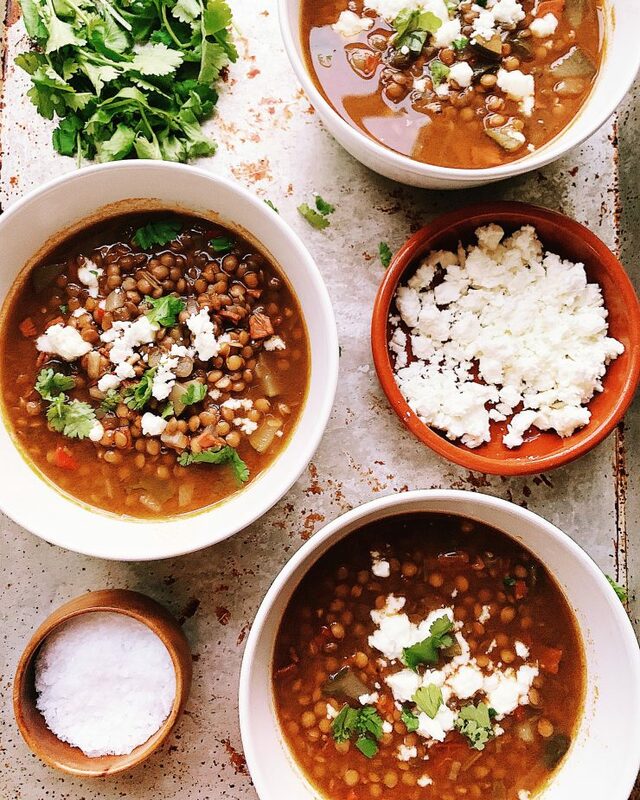 So when you come across with a day like this, try this soup and I assure you it will make you feel very cosy. Heat the oil in a medium casserole dish on high heat for 3 min, add the tomatoes and onions and cook for 5 min then add the carrots, celery and garlic and cook for 3 min, after this add the lentils, stock or salt and water, turn the heat down to low and let it simmer gently for around 20 min then add the coriander, by this time the lentils must be soft, if not cook for another 10 min and check again. When the lentils are soft the soup is done. I love lentil soup! It’s a great comfort food for fall and winter 🙂 You’re right, everyone has their own recipe. My mom makes it with carrots, sausages and plantains. Plantain!! It must be so yummy, I have never tried like that. ?